Morgenstern, Susie. 1998. Secret Letters from 0 to 10. Trans. by Gill Rosner. NY: Viking. ISBN: 0670880078. Ten-year-old Ernest Morlaisse has spent his entire life in a mundane schedule. Everyday he went to school, ate the same food, did his homework early, and spent the evening with his aged grandmother who lives in the past and hardly spoke to anyone. No television. No phone. No outings. He wears old-fashioned clothes that, besides his exceptional knowledge and his handsome looks, make him standout at school in the wrong way. 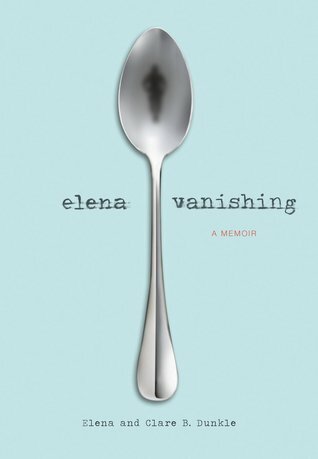 Then one day, a vibrant new classmate named Victoria arrives and brings him into her family of two parents and thirteen brothers where there is food other than soup, chocolate, television, phones, and the world beyond his grandmother’s house. Now with life beginning to growing within himself, Ernest’s curiosity, about his father who had disappeared the day after he was born, continues to build until one day he writes and sends a letter to a man with the same name and receives hundreds in return. Morgenstern’s Secret Letters from 0 to 10, originally published in France in 1996 and translated to English by Gill Rosner, is a refreshing story about young boy who’s structured life begins to bend and shift as his is introduced to the world outside his grandmother’s home, with the assistance of his new friend, and about what has happened to his father since he had disappeared Ernest was a day old. The plot is well constructed. It illustrates perfectly Ernest’s transformation from a sheltered life to one where he exposed to the world and to the story of what happened to his father. Each chapter is named after one of the characters within story that plays a significant part of in helping or effecting Ernest’s life. The characters in the novel are wonderfully well developed and have their own individual personality that sets them apart. Ernest, who is a sweet, polite, kind, and smart boy; however, because his grandmother hardly speaks, even to him, as does Germaine, an old friend of Grandmother who cooks and also helped raise him. At the beginning of the novel, he follows the same routine day and day out with little thought. He does not speak unless he is spoken too and never asked a question. However, as the novel continues he changes to becoming curious, speaking and asking questions as he tries to uncover the secrets of his family and especially of his father. Victoria de Montardent has a strong personality, which is almost a necessity for being the only girl in a family of thirteen brothers and parents who work for Foreign Affairs. From the moment she took a seat at Ernest’s desk at school she clasped onto him and preceded make him her friend (whether he liked it not), which in turn begins his transformation. Even though their personalities and how they live are quite different and almost complete opposites, Victoria soon appears as the perfect companion for Ernest as perfectly seen in her response to the notes left on her and Ernest’ desk by all the girls in their class that “love” Ernest and have told her to stay away, “I love Ernest. That’s all there is to it. And what’s more, I understand him, and I want him to be happy. We’re getting married in thirteen years, eight months, and three days. This is an invitation to our wedding” (Morgenstern, p. 35). The story is set in France and has several cultural markers. The first and perhaps most noticeable marker is the names of the characters, especially their last names: Ernest Morlaisse, Victoria de Mortandent, Germaine, and Precious (Ernest’s grandmother). Another marker is the description of the neighborhood in which Ernest and Victoria lives. Down the street from Ernest’s house is a lovely neighborhood garden and street cafes, which is quite characteristic of France. Finally, the third marker that exudes the essence of a French culture is the presence of food, which a famous staple in the culture. Before Victoria befriended him, Ernest’s diet consisted toast and marmalade for breakfast and soup for lunch and dinner. However, thanks to Victoria, Ernest finally eats chocolate, chocolate-filled croissants, Couscous, and much more. Though the details are faint and not entirely the focus of the plot, Secret Letters from 0 to 10 presents a refreshing story that exudes the essence of coming from another country and culture that both simpler and yet, like any well-written novel from of any other culture, the story is universal. Author Morgenstern, a native of New Jersey who has lived in France for more than thirty years, and translator Gill Rosner’s, also of France, collaboration has resulted in a wonderfully unique story in a subtle setting of another culture that is well-deserving of its honors and awards. Gr. 4^-7. Poor, 10-year-old Ernest Morlaisse: his mother died at his birth, his father deserted him one day later, and he is being brought up in a dreary, protected household by a grim, elderly grandmother, who rarely utters more than a few words and never smiles. Ernest's days are so structured they are completely devoid of joy and surprise, and the only mysteries life holds are the whereabouts of his father and the contents of a coded letter his grandfather sent just before he was killed in World War II. The arrival of Victoria de Montardent changes all that. Outgoing Victoria and her 13 vivacious brothers bulldoze Ernest into exploring life outside dull, familiar boundaries and help him experience the sensations and wonderment of love, loss, curiosity, pain, and joy. Morgenstern chronicles the awakening of Ernest's "sleepy old heart" through a wryly humorous narrative, presenting life's simple joys with such appreciation that events like going to the movies or answering the telephone seem as new to the reader as they do to a bemused Ernest. Quirky characters, heightening suspense, and hilarious situations are deftly combined in this tender novel, smoothly translated from the French, which examines a few of the large and small ways people affect one another. The richly rewarding happy ending will have kids begging for a sequel. Kathleen Squires. 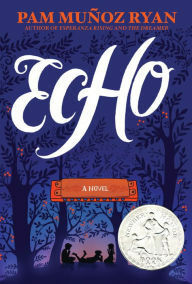 Grade 5-7-Winner of the French equivalent of the Newbery medal, this novel portrays the poignant journey of a young boy who learns to enjoy life, express his love for others and, at the same time, learn to love himself. Ten-year-old Ernest Morlaisse leads a quiet, uneventful life. He comes home from school, eats the same snack each day, and does his homework. He lives with his elderly grandmother who hardly speaks to him, especially about his dead mother and the father who deserted him when he was one day old. All this changes when a new girl, Victoria de Montardent, comes on the scene. For her, it's love at first sight. "We're getting married in thirteen years, eight months and three days" she tells him at one point. Her exuberance and joie de vivre captivate Ernest. Victoria and her 13 brothers befriend him, and he slowly begins to find joy in experiencing new things and encouraging his grandmother to leave her self-made prison behind. He also finds the courage to search for his father. The translation from the French is only noticeable because of a certain formality and precision in language that is not usually found in books for this age group. This formality lends considerable charm to the telling but requires a more thoughtful reader. Morgenstern has created extremely well-drawn, distinct, and sometimes quirky characters with eloquent dialogue. Since this is a quiet novel, it may need to be pushed. However, readers will not soon forget Victoria de Montardent and the journey Ernest takes to embrace life. CONNECTIONS *Read more books by Susie Morgenstern: Book of Coupons, Sixth Grade, and Three Days Off. *Have the readers discuss the importance of friendship and communication. *Have the readers discuss the difference and similarities between someone their age in France to themselves in the United States. *Have the readers discuss the importance of letters within story and outside the story. *To further tie in the French culture, have the readers participate in French traditions such as having an event where the readers can try the many delicious food from France like Crepes and Ratatouille. Funke, Cornelia. 2002. The Thief Lord. Trans. by Oliver Latsch. 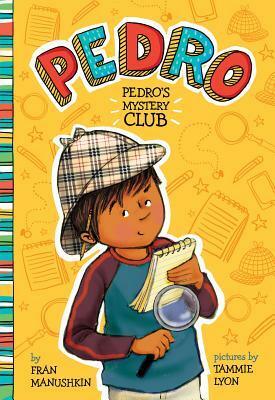 NY: Scholastics, Inc. ISBN: 9780439404372. When their mom dies and they learned that their snobby aunt was going to split them up twelve-year-old Prosper and five-year-old Bo run away from Hamsburg, Germany to the canals and ancient buildings of Venice, Italy that their mom had told them about. Now, living in an abandoned movie theater with three other orphaned children who are taken care of by a mysterious teenager who is called the Thief Lord. When the Thief Lord is hired by an equally mysterious man to steal a wooden wing that belongs to a magical merry-go-around that can change the age and physical appearance for all who rides it, Prosper and Bo and their friends’ lives change forever and for the better. German author Cornelia Funke’s love for this ancient Venetian city translates beautifully in this adventure, mystery and fantasy packed novel that, originally published in German and translated to English by Oliver Latsch, has been a great hit among young readers everywhere. Though it is quite complex with secondary storylines and there is handful of characters that all play a significant part within it, the plot is exciting and incorporates all the characteristics of the city it takes plan in. Though they are Italian, or German in the case of Prosper and Bo, all the characters are they universal and can be relatable to any reader. Prosper is a smart and responsible twelve-year-old who cares for his little brother deeply and will do anything to make sure that he and Bo stay together. Bo is perhaps the very essence of Venice in his angelic-face that would match the faces of the beautiful artwork found in Italy. He looks up to his brother and sees a great hero in Scipio, the Thief Lord, and dreams to go on to one of his raids, even though he is only five years old. Scipio, a.k.a. the Thief Lord, is the most complex character in the entire book, as he lives a doubled life. Though he claims and explains to the orphaned children he cares for and has sell his stolen loot, Scipio is actually the son of a rich doctor who owns the abandoned theater where the orphans lived. Despite being thirteen years old and being treated like a helpless child by father, Scipio very mature, as he was the one who brought the three orphan children Mosco, Riccio, and Hornet to the theater. When he appears to the children as the Thief Lord he wears high-healed boots, a black trench coat, and a black masquerade mask that are very reminiscent to the 18th century clothing that Italians and, especially, Venetians wore. The city of Venice plays a huge and very important part in The Thief Lord. Having the story set in a city as ancient, mysterious, enchanting, and magical as this one. Venice is the perfect city to set a story of Funke’s combination of adventure, mystery and fantasy. Where else could one find a merry-go-round with fantastical creatures that can made a boy turn to a man and man to a boy? “The canals, gleaming in the sun, dappled the ancient brickwork with gold. But the wind was blowing ice-cold air from the sea, reminding the Venetians that winter was approaching. Even the air in the alleyways tasted of snow, and only the wings of the carved angels and dragons high up on the rooftops felt any real warmth from the pale sun” (p. 7). Funke also used the actual Italian language several times, such as when Hornet calls Bo angelo – an angel, to add more essence of the culture to the story. Other wonderful features of The Thief Lord are a map that included names the famous landmarks and a glossary of the Italians words used in the book. The final feature is Funke’s own black and white pen sketches of architectural features found in the city that are seen at the beginning of each chapter. By adding a visual feature like these sketches the readers will get another glimpse of the fantastic city and enhances the greatness of The Thief Lord. Wacky characters bring energy to this translation of an entertaining German novel about thieving children, a disguise-obsessed detective and a magical merry-go-round. After their mother dies, 12-year-old Prosper and his brother, Bo, five, flee from Hamburg to Venice (an awful aunt plans to adopt only Bo). They live in an abandoned movie theater with several other street children under the care of the Thief Lord, a cocky youth who claims to rob "the city's most elegant houses." A mysterious man hires the Thief Lord to steal a wooden wing, which the kids later learn has broken off a long-lost merry-go-round said to make "adults out of children and children out of adults," but the plan alters when Victor, the detective Aunt Esther hired to track the brothers, discovers their camp and reveals that the Thief Lord is actually from a wealthy family. There are a lot of story lines to follow, and the pacing is sometimes off (readers may feel that Funke spends too little time on what happens when the children find the carousel, and too much on the ruse they pull on Prosper's aunt). But between kindhearted Victor and his collection of fake beards, the Thief Lord in his mask and high-heeled boots, and a rascally street kid who loves to steal, Prosper's new world abounds with colorful characters. The Venetian setting is ripe for mystery and the city's alleys and canals ratchet up the suspense in the chase scenes. Ages 9-12. Copyright 2002 Cahners Business Information, Inc.
*Read books about Venice, Italy. *What the 2006 film version of The Thief Lord and have the readers compare and contrast the film to the actual book. Fox, Mem. 1983. Possum Magic. Illus. by Julie Vivas. Nashville, TN: Abingdon Press. ISBN: 9780152632243. Deep in the Australian bush, Grandma Poss uses bush magic to change fellow animals different colors, sizes and even makes a dingo smile. To protect her from snakes, Grandma Poss made young possum Hush invisible. Hush had fun being invisible, but she soon wanted see herself again. However, Grandma Poss could not find the magic needed in any of her books. Finally, one night she realizes that it was “people food” instead of possum food that was needed to make Hush visible. Traveling all over Australia, the two possums find popular Australian food that will reverse the possum magic. The combination of author Mem Fox’s text and illustrator Julie Vivas’ artwork truly makes Possum Magic a delightfully charming book. The narrative is kept to one paragraph per double-spread page that allows the colorful watercolor vignettes to further to tell the story. Viva's use of colors and methods of painting, such as splattering the paint to imitate the magic that Grandma Poss uses on the animals, is adds to the great effect that the give to the overall story. The depictions of all the animals and the sceneries are delightful and portray the personalities and emotions of the animals. In particular Grandma Poss and Hush are wonderful. Grandma Poss wears a purple apron with yellow stars, colorful striped slippers and a pair of glasses on her long nose. Children will love seeing how Hush is illustrated while invisible yet they can see her outline of her fuzzy body. Set deep in the brush then around the country to famous cities to try popular Australian food, the story wonderful illustrates the culture. The illustrations of the animals (dingoes, wombats, emus, koalas, and kangaroos), vegetation, food, though slightly abstract due to the medium of watercolor, are accurate in depiction. The food plays a vital role in the story as does the cities that Grandma Poss and Hush find them in. Through the book and with the food glossary and map at the end of the book, young readers will learn the names of cities Adelaide, Melbourne Sydney, Brisbane, Darwin, Perth and Hobert and associate the food and sweets Anzac biscuits, pumpkin scones, Monray, Minities, Vegemite, Pavlova and Lamington not only with the country but with the cities that Grandma Poss and Hush find them in. Through a fun story of magic, travel, colorful illustrations, and a introduction of Australian food and cities, Possum Magic is a perfect addition to any home, school, and public library. Ages 5-7. This agreeable tale from down under is peppered with “Australia-isms,” but there is a zest to the story that transcends the language barrier (a brief glossary is provided at the conclusion). The stars of the story are two opossums, Hush and her grandmother. To keep hush safe, Grandma Poss turns Hush invisible, which is fine until the day Hush decides she’d like to see herself. Unfortunately, Grandma Poss doesn’t quite remember how to reverse the spell; she is only sure that it has something to do with “people food.” Eating Anzac biscuits in Adelaide and pumpkin scones in Brisban doesn’t work, but a vegemite sandwich causes Hush’s tail to appear while pavlova (meringue with fruits and whipped cream) and lamington (sponge cake) bring the rest of her body forth. A fully materialized Hush dances with Grandma, and every year on her birthday she makes a meal of the three foods that keep her visible. The art captures the experience of being invisible as an “unseen,” outlined Hush slides down a kangaroo’s back and is almost squashed by a koala. Vivas’ eminently likeable pictures, featuring soft watercolors that spill across the pages, are striking standouts against the expanse of the white backgrounds. Fun for individual readers or as a supplement to unites on Australia. An appended map traces Hush’s journeys around her continent. IC. Opossums Fiction / Animal Fiction / Australia Fiction [OCLC]. December 01, 1987. PreSchool-Grade 2 Grandma Poss uses bush magic to make Hush invisible, but when Hush wants to see herself again, Grandma can't remember which particular Australian food is needed to reverse the spell. Traveling around the continent in search of an antidote, Grandma and Hush sample Anzac biscuits, mornay, vegemite, and pavlova until the right delicacy is found. Although the characters, locales, and vocabulary are thoroughly Australian, Possum Magic has universal appeal. Fox chooses her words carefully, making readers believe that certain foods just might be magical. Vivas uses a variety of techniques, including splatter painting and washes to create full- and double-page watercolor illustrations which complement the text and will entrance readers. A perfect choice for storytimes, but also useful for curriculum enrichment, thanks to a simplified map and glossary. Jeanette Larson, Mesquite Public Library, Tex. Copyright 1987 Reed Business Information, Inc. December 01, 1987. 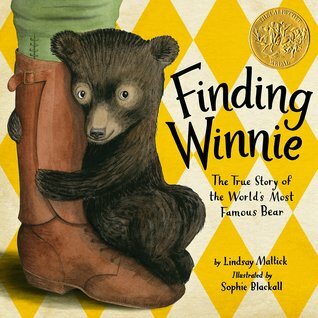 *Read more books by Australian author Mem Fox like Hunwick’s Egg, Koala Lou, and Wombat Divine. *Have the readers make and try the foods that Grandma Poss and Hush did in the book.